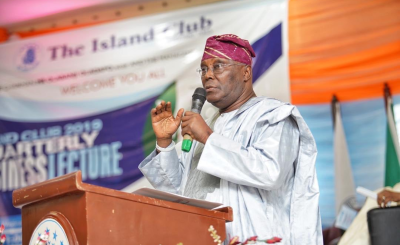 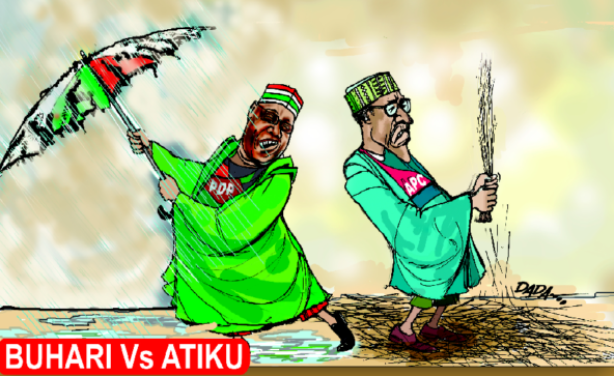 Atiku Abubakar, presidential candidate for the Peoples Democratic Party, has dismissed allegations that he spent U.S.$30,000 to hire a U.S. lobby group to challenge of the outcome of the February 23 presidential poll. 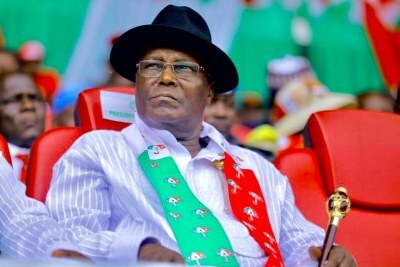 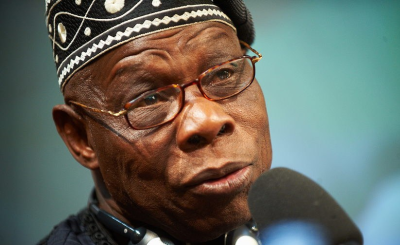 He claimed that the allegation were instigated by the Buhari campaign. 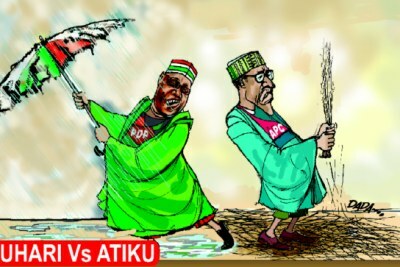 President Muhammadu Buhari defeated Abubakar in the election but he rejected the results, alleging that the poll was heavily "militarised" and the results "manipulated". 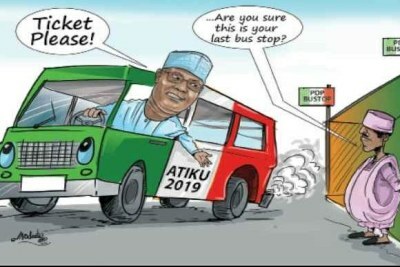 Abubakar Atiku and President Muhammadu Buhari.